Roll of Thunder, Hear My Cry is the Newbery Award winning story of an African American family living in Mississipi in the early part of the 20th century. Segregation was the norm, with black and white children living in separate social strata, attending separate schools, and subject to different rules. 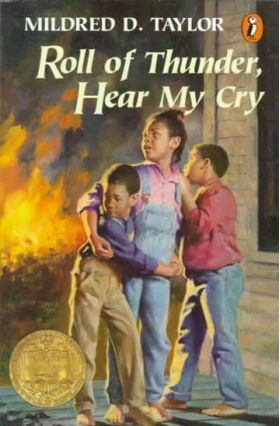 The story explores difficult subjects such as segregation, prejudice, and the KKK. Written for grades 6-8. This story would make an excellent addition to any study of recent American history. There is a Progeny Press study guide available for this book.